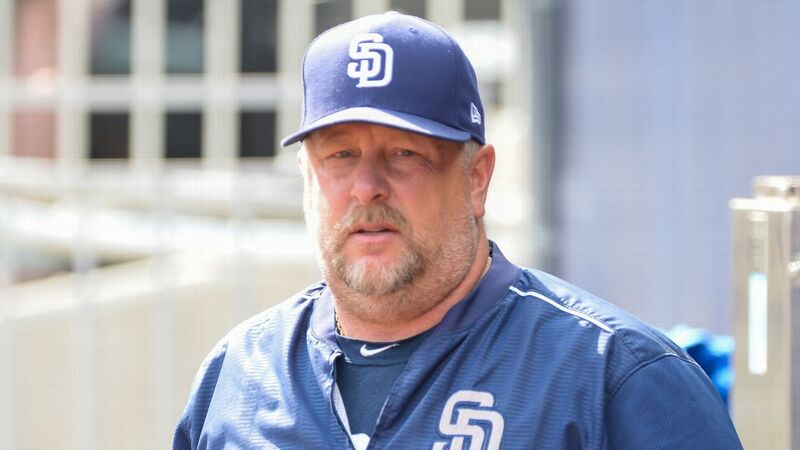 After being one of the worst offensive teams in all of baseball, the San Diego Padres have fired their hitting coach, Matt Stairs, ending his tenure with the team after only one season. For the fifth year in a row, the San Diego Padres will be surfing the market for a new hitting coach. After firing Allen Zinter following the 2017 season, the Padres brought in Matt Stairs, a respected hitter that brought in a sense of optimism to both the front office and the fans. The former Philadelphia Phillies hitting coach preached the principles of getting on base at a high rate and being patient at the plate. 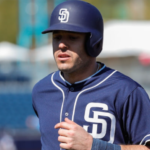 With the team having such a young roster, many believed that Stairs and his philosophies would improve the discipline and approach of the Padres’ hitters. 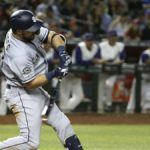 While we did see improvements at the plate, especially in the cases of Hunter Renfroe and Franmil Reyes, the Padres were once again one of the worst offensive teams in all of baseball. The team finished 28th overall in batting average (.235), 27th in slugging percentage (.380), struck out the second most times (1,523) and were dead last in on-base percentage (.297). 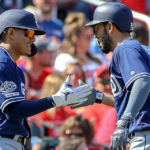 In fact, the Padres as a team did not rank higher than 20th in any of the major hitting categories and were easily one of, if not the, worst offensive team in all of baseball. Going away from the statistics, we physically saw a lot of the team’s players regress at the plate and fail to make adjustments. 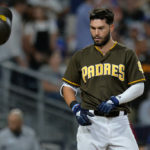 For example, the team’s franchise player, Eric Hosmer, struggled to elevate the baseball all season and, statistically speaking, had the worst season of his career. Do some of those responsibilities fall on Hosmer? Certainly. However, as the hitting coach, part of your job is to ensure that these players are making the right adjustments at the plate in order to have more success on the baseball field. Manuel Margot, the Padres’ supposed center fielder of the future, regressed mightily in all aspects of his game. At times, it appeared that Margot had no plate discipline or approach at all, and some of that falls on the hitting coach for a failure to instill a mentality that he preached all offseason. Unfortunately for Stairs, the Padres have decided to part ways with him and currently find themselves looking for a new hitting coach once again. It’s very difficult to expect consistency and development offensively if there is a new hitting coach every single season. It is expected that the Padres fill this role internally, with Johnny Washington and Morgan Burkhart being the two leading candidates. It’s possible that the Padres bring someone in externally, but with pressure to contend in the next few years, the Padres need to find their long-term man for the job this offseason. 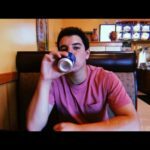 Diego is one of our editors and is also the head of our San Diego Fleet department. On top of covering the Fleet, Diego also partakes in San Diego Padres coverage. He has been apart of EVT for almost three years and thoroughly enjoys being apart of this website. 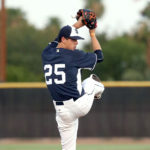 Diego is a freshman in college and is a right-handed pitcher at the collegiate level. Can’t blame Stairs because Hosmer won’t change his swing, or Myers is not a star. 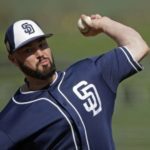 Renfroe and Hedges improved, Margot and Pirela regressed. It really seemed like a wash. Not a fan of Stairs or anything, but it seems like he’s being scapegoated for the Padres having sucko players. Maybe the blame more accurately belongs with the person who chose the roster? Spring training shows a marked improvement of the players. 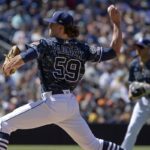 Season ends and Padre fans start drooling over all the new improvements we will see next year. AAAHHHH being a Padres fun!! Not a big fan of this move. Give a guy at least two years to turn things around. 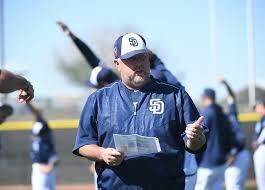 Why would anyone with options want to coach for the Padres now? Nobody wants to work for an organization that has rapid turnover like this. Padres should look at Yankees’ Assistant Hitting Coach P.J. Pilittere. He was loved by his players in AAA last year and connects with hitters. Is the Criticism of Andy Green Justified?